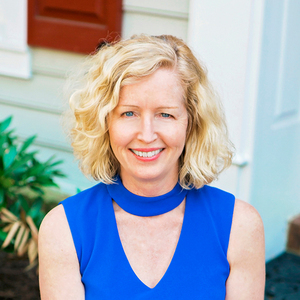 As an experienced agent in the Metro DC real estate scene, Pat has adeptly represented both sellers and buyers alike since 2002. Real estate is her passion, and she strives to create search and sell experiences for her clients that are as enjoyable as they are lucrative. A tenacious negotiator, Pat stays up to date on industry and mortgage trends in order to equip buyers with the right information, and obtain the highest possible price for sellers. Thanks to her unyielding commitment to protecting her clients' best interests above all, it’s no surprise that 80% of Pat’s business comes from repeat clients and referrals. Prior to becoming a Realtor in the DC area, Pat was a creative director/art director in advertising for notable clients like Amtrak, Freddie Mac, Marriott, Route 11 Potato Chips, Sheraton Hotels and major airlines. Her entrepreneurial spirit, marketing savvy, and innate creativity led her to real estate, where her talents shine. Pat is committed to giving back to the community she calls home. Her favorite non-profits include Kidsave.org and Poplar Spring Animal Sanctuary. HostageUS. Entertaining friends and family, yoga, paddle boarding, hiking, and travel are just a few of her favorite things.